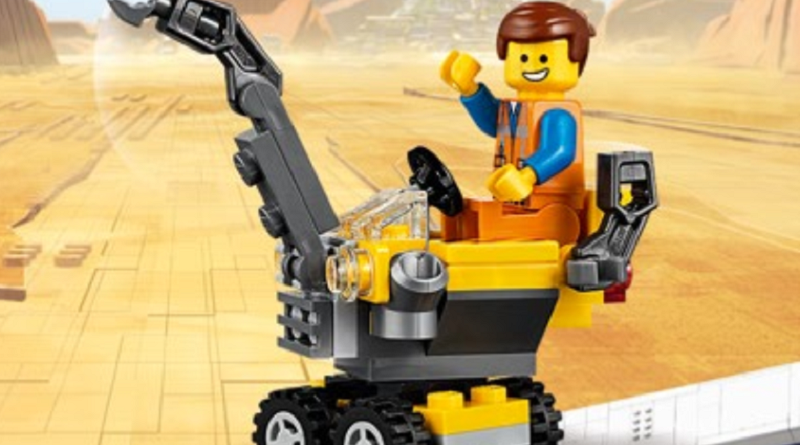 A new promotion has launched in physical UK LEGO Stores, with The LEGO Movie 2: The Second Part 30529 Mini Master-Building Emmet being given away with qualifying purchases. The LEGO Group must want fans to visit a physical LEGO Store in the UK as well as doing some online shopping, as The LEGO Movie 2: The Second Part 30529 Mini Master-Building Emmet polybag is currently being given away for free. Any purchase on products for the theme that reaches a £35 threshold will get the little set for free. A different polybag is available for free with online orders, with 30640 Rex’s Plantimal Ambush free with orders that total £35 or more. This deal is only available online at shop.LEGO.com, it is not being run in physical LEGO Stores. Many of the sets in the theme qualify for either deal, including 70828 Pop-Up Party Bus, 70829 Emmet and Lucy’s Escape Buggy, 70830 Sweet Mayhem’s Systar Starship and 70831 Emmet’s Dream House/Rescue Rocket. The largest set in the theme is The LEGO Movie 2: The Second Part 70840 Welcome to Apocalypseburg!, which is available now exclusively at shop.LEGO.com. ← Inside the design of The LEGO Movie 2 70840 Welcome to Apocalypseburg!